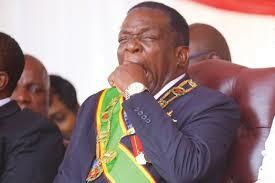 Some Zimbabweans have set up an online petition aimed at blocking Zimbabwean president Emmerson Mnangagwa from attending the forthcoming World Economic Forum in Davos, Switzerland, questioning his move to rub shoulders with world leaders while local people are being brutalised by state security agents following nationwide protests this week over the high cost of living. The petition, created Wednesday on change.org and seeking 5,000 signatures, has been signed by 3,612 people amid concerns by human rights organisations, opposition parties, various nations, the European Union, United Nations and other entities about the deteriorating political and economic situation in Zimbabwe. This comes at a time when the Zimbabwe Association of Doctors for Human Rights says it has attended to 172 victims of violence of which 68 were of people with gunshot wounds. It says other cases were a result of assaults with sharp objects, booted feet, baton sticks, sjamboks and tarmac abrasions. Indications are that some patients had dog bites as police allegedly unleashed dogs on protesters in some cities. Zimbabwean authorities say at least 200 people were arrested during the protests. Police say only 3 people were killed while some non-governmental organisations estimate that at least 12 people were gunned down by state security agents. The Zimbabwe Human Rights NGO Forum claims that it has recorded 844 cases of human rights violations. Several organisations and the opposition Movement for Democratic Change led by Nelson Chamisa, have backed the online petition noting that Mnangagwa, who is currently visiting several European nations, should go back home instead of attending the World Economic Forum Annual Meeting to be held between 22 and 25 January, 2019. Thabitha Khumalo, chairperson of the MDC, said organizers of the Davos meeting should seriously consider blocking Mnangagwa from attending the World Economic Forum. Reacting to Khumalo’s remarks and the online petition, Zanu PF Central Committee member, Joseph Tshuma, said while there are people who are upset about what is happening in Zimbabwe, Mnangagwa should be given a chance to meet with economic giants in order to find ways of getting the much-needed foreign direct investment. “To be honest with you when the president left the country all these things had not started to happen … I will tell you my brother without mincing my words. Zimbabweans have shot themselves on their feet because, look, with all these things happening, these are the kind of recipes that brew sort of anger, desperation and fear from any investors.